Stradling’s Cabinets & Remodeling is committed to providing exemplary customer support through high-quality cabinetry and remodeling services. We employ our own in-house design team to create unique, custom cabinets for kitchens, bathrooms, home offices, laundry rooms, home theaters, entertainment rooms, closets, and more. Licensed, bonded, and insured, Stradlings has also been providing high-quality kitchen remodels, bathroom remodels, entertainment room remodels, and more at a fair price. Stradlings’ professional installers and support team manage every aspect of your project. In addition to homeowners, Stradlings partners with architects, interior designers, and contractors to provide quality custom cabinets and millwork that turn your dreams into reality. Their number one goal is understanding their clients’ desires to provide exceptional value and exceed expectations on every job. You can learn a lot about a company by looking at its past. Stradling said that the company would complete jobs already contracted, then, when final figures on the total loss had been compiled, the company hoped to rebuild on that or perhaps another site. For the present, business would be conducted from the temporary office. The business continued to grow, adding a hardware department and food specialties store, and moving in 1955, to its 32 E. Broadway location, where it remained for 13 years until its destruction the morning of May 17, 1968. 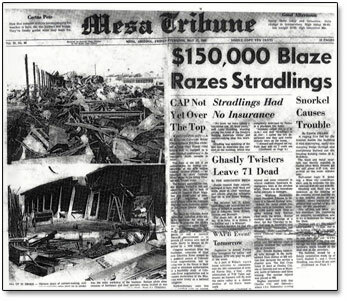 Following that fire, Stradlings showed the integrity it has become known for….honoring its contracts with its customers and rebuilding, coming back bigger and better than ever. 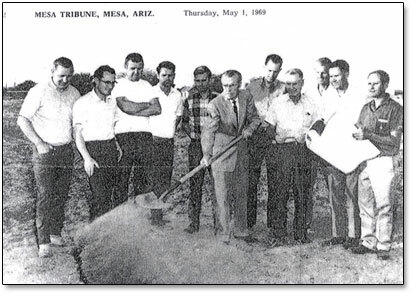 It took nearly two years, but Stradlings opened its new facility in April 1970, at its current location on East Southern in Mesa. 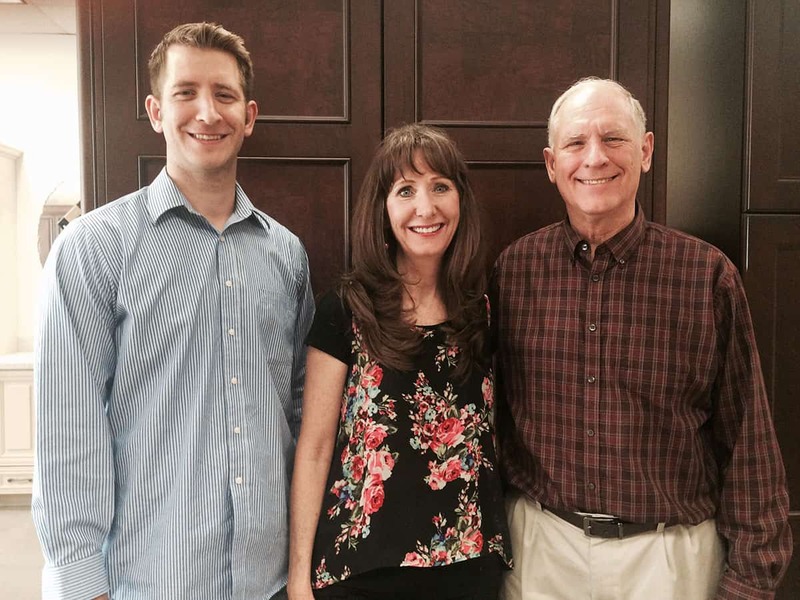 Stradlings Family PhotoThe new facility was over twice the size of the old building and provided space for their cabinet building, contracting, and a showroom display area for customer convenience. Over the years Stradling’s has been successful and they have ventured into different businesses and various facets of construction and woodwork, from hardware, emergency preparedness, a culinary school, to custom high-end millwork and cabinetry for multi-million dollar houses. Stradlings has always stayed very close to their roots of fine woodwork and cabinetry. Although Stradlings has changed over the years to accommodate the trends and industry growth, the one thing that has never changed is its strong belief in providing the best and most professional services to it’s customer, whether homeowner, designer, or General Contractor. Stradlings has a broad-based portfolio, ranging from large commercial office buildings, schools, hospitals and resorts to single-family residences both new construction and remodels. Stradlings employees provide the same consistent quality service to each job whether small or for a large commercial client. Because Stradlings is committed to meeting its client’s needs we have one of the larger showrooms in the area to help them create the perfect space and to better understand the different styles and options that are available. Now in its third generation, Stradlings looks forward to the future with the same enthusiasm and determination that they employed following the fire of 1968. If you are looking for a company that will be there for the long haul with both stability and a strong work ethic to get your next project completed, you need look no further than Stradlings.